Enjoy movies, shows and music plus your photos and home videos in 1080p. WD TV Play adds instant entertainment to any TV. Get instant entertainment with your favorite apps. Get smart - WD TV Play adds the best entertainment to any TV. It comes pre-loaded with tons of apps and you can add even more using the WD TV app store right from your device. Stream hit movies, view the latest viral videos, catch up on TV shows, stay connected to your social network and watch highlights from the biggest games of the season. 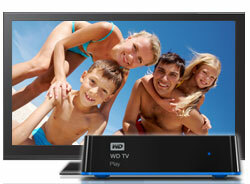 With WD TV Play, you can enjoy it all on your HDTV. Ready, set, stream. So easy to set up, you’ll be up and running in minutes. WD TV Play connects to your high-speed Internet connection wirelessly, no PC required. Or use the Ethernet port to connect to your wired home network. It works with virtually any TV. Turn your smartphone or tablet into a touch-screen remote. Control your WD TV experience with the swipe of a finger using the WD TV Remote app. Great for text input when logging into any online app and searching for a movie or video. Download WD TV Remote for free from the Apple iTunes store or the Google Play store. Your media collection belongs on the big screen. Enjoy your media library, home videos, vacation slideshows, and favorite songs on your HDTV and sound system in your living room. Sit back and enjoy the spectacular picture quality of Full-HD 1080p. Enjoy media from any source. Stream videos, music, and photos from your USB drive and any DLNA/UPnP network drive, PC or Mac computer in your home. Your shows on any TV at home, or away. Connect a Sling box and watch your favorite live and recorded shows in any corner of your house. Use WD TV Play as a set-top-box for other rooms using the Sling player app. Get access to your cable service when you take WD TV on the go. With Sling box and WD TV Play, you can get access to your favorite shows on any TV. 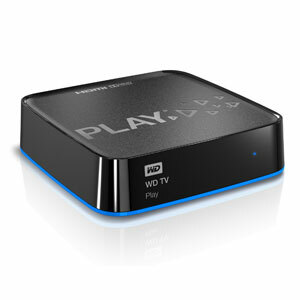 WD TV Play Media Player – Get instant entertainment on your TV. 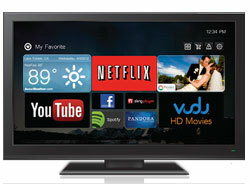 WD TV Play comes loaded with apps to enjoy the latest movies, trending videos, hit TV shows and chart-topping music. You can also stream your photos and home videos from your digital camera, camcorder or hard drives straight to your TV in Full-HD. The most entertaining apps on your TV. Stream the latest movies, trending videos, hit TV shows and your favorite music. Make your entertainment play by your rules. With one-touch access to your favorite apps and an interface that works just like your smartphone, fun is just a click away. Relive your fondest memories in Full-HD. Show off your home videos and vacation photos the way that they were meant to be seen – on the biggest screen in your house in 1080p. Get instant entertainment with your favorite apps. 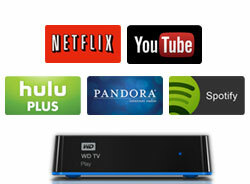 WD TV Play adds the best apps to any TV. Stream hit movies, view the latest viral videos, catch up on TV shows, stay connected to your social network and watch highlights from the biggest games of the season. WD TV Play connects to your high-speed Internet connection wirelessly, no PC required. Or use the Ethernet port to connect to your wired home network. It works with virtually any TV. Get one-touch access to your favorite entertainment. Use the handy remote to skip straight to what you want to watch. Access your favorite apps using the pre-programmed buttons, or move them to the home page of your customized screen. Turn your smartphone or tablet into a touch-screen remote. Control your WD TV experience with the swipe of a finger using the WD TV Remote app. Great for text input when logging into any online app and searching for a movie or video. Download WD TV Remote for free from the Apple iTunes store or the Google Play store. Your media collection belongs on the big screen. Enjoy your media library, home videos, vacation slideshows, and favorite songs on your HDTV and sound system in your living room. Enjoy media from any source. Stream videos, music, and photos from your USB drive and any DLNA/UPnP device on your home network. Includes the latest wireless technology— extended-range Wireless-N— giving you the speed you need to stream HD. Show photos and movies directly from your digital camera or camcorder. Connect your camcorder or digital camera directly to the media center using one of the USB ports, and instantly view or archive HD video and photos without a PC. Works with any digital imaging device that supports Picture Transfer Protocol. Use your keyboard for easy searching and updating. Use the on-screen keyboard or attach your wired or wireless USB keyboard for easy text input. Perfect for searching videos on YouTube or updating your status on Facebook. 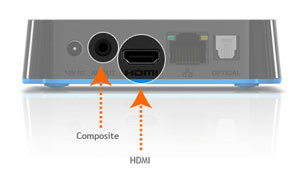 HDMI and composite video output. The HDMI port lets you connect to the highest quality HDTV or home theater. Additional composite (RCA outputs) ensure compatibility with virtually all television sets. HDMI cable not included. The optical audio output sends digital signals to your AV receiver for the best surround sound experience. Media player, Remote control with batteries, Composite AV cable, AC adapter, Quick Install Guide. Standard or high-definition television with HDMI or composite video connection. Wireless network needed to enable wireless capability. Get instant entertainment. Stream entertainment + your media collection. Store and play your entertainment all in one place.